Kellogg Community College’s Branch County Community Chorus (BCCC) is accepting new members for the 2017-18 concert season. Singers interested in joining the BCCC can do so during open calls scheduled for 6:30 p.m. Tuesdays, Sept. 5 and 12, at St. Mark’s Episcopal Church, 27 E. Chicago St., Coldwater. Rehearsals will be held from 6:30 to 9 p.m. Tuesdays at St. Mark’s through May. The BCCC ensemble is made up of community members and students who perform choral works from various periods and genres at events throughout the academic year. Highlights of the upcoming concert season include the College’s annual Sounds of the Season holiday concert in December and performances with the Battle Creek and Monroe symphony orchestras. Dr. Gerald Blanchard, professor of vocal music and music area coordinator at KCC, conducts the BCCC and said members come from a wide variety of musical backgrounds, from those with very little formal musical training to those with advanced degrees in music. While there is no formal audition process required to join the BCCC, prospective choir members must sit for a brief vocal assessment and interview. Blanchard said there are openings available in all voice parts, but there is a particular need for basses and tenors. Individuals interested in joining the BCCC may do so for personal enrichment or academic credit. For more information about registering to join the BCCC, contact KCC’s Grahl Center at 517-278-3300. For more information about the group in general, contact Blanchard at blanchardg@kellogg.edu. Performing arts grants may be available to those who have participated in the choir for two consecutive semesters and who have met all requirements. 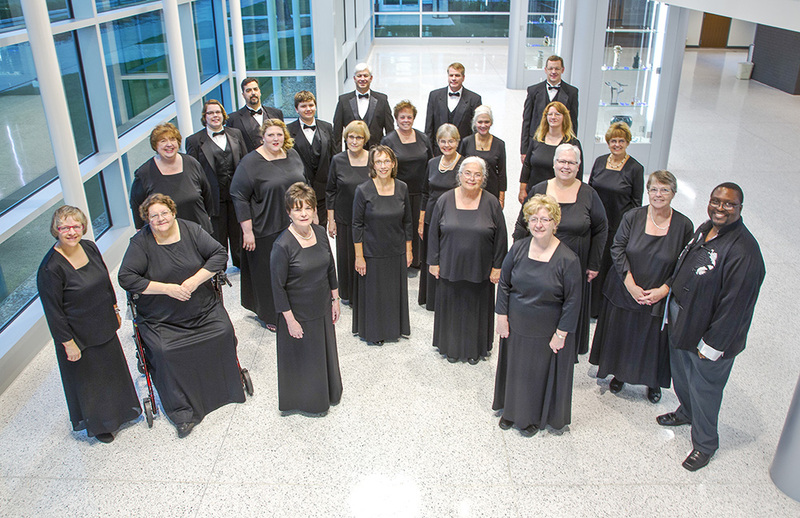 The Branch County Community Chorus, established in the fall of the 2001-02 academic year, is a “town and gown” Kellogg Community College ensemble that produces high-level concert performances. Membership is open to anyone who wishes to sing with the group. Under the leadership of Dr. Gerald Blanchard, who became BCCC director in 2004, the choir greatly expanded its repertoire to include not only the traditional classical repertoire (including works by Bach, Handel, Mozart and others), but jazz, show music, world music, spirituals, opera choruses and much more. During its 2006-07 concert season, the BCCC began its semi-annual choral touring program. The choir has since toured nationally and internationally, presenting concerts in the U.S. in Illinois, Indiana, Massachusetts, Michigan, New York and Ohio. In the summer of 2012, the BCCC embarked on its inaugural European concert tour, presenting concerts in Cork, Dublin and Malahide in Ireland. The choir returned to Europe in the summer of 2014, presenting concerts in towns and cities along the Amalfi Coast of Italy. In the summer of 2018, the choir will tour throughout the states of Michigan and Minnesota.